A public hearing on the proposed repeals, amendments, and a new rule was held on October 3, 2017, at the Department of Labor and Workforce Development, John Fitch Plaza, Trenton, New Jersey. David Fish, Executive Director, Legal and Regulatory Services, was available to preside at the hearing and to receive testimony. There were no attendees at the public hearing and the Department received no written comments. The hearing officer recommended that the Department proceed with the repeals, amendments, and new rule, without change. The Department’s newly adopted rules repeal the former rules, adds amendments, and creates a new rule, which results in the adoption of a new Code of Conduct for Judges of Compensation (Code). The adoption of a new Code was prompted by the Supreme Court of New Jersey (Supreme Court) having recently adopted a revised New Jersey Code of Judicial Conduct, effective September 1, 2016, which applies to judges who serve within the judicial branch of State government, as opposed to those, like Judges of Compensation, who serve within the executive branch of State government. The prior Code of Conduct for Judges of Compensation was reflected within the rules at N.J.A.C. 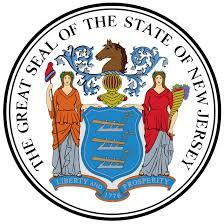 12:235-10.1 through 10.12 and was modeled on the New Jersey Code of Judicial Conduct. Consequently, it only follows that with the recent revision of the New Jersey Code of Judicial Conduct, the Division of Workers' Compensation updated its Code of Conduct for Judges of Compensation so as to ensure that Judges of Compensation are held to the same exacting standards as are their counterparts in the Judiciary. Thus, the Department adopted Rules that repealed of N.J.A.C. 12:235-10.1 through 10.12 and replaced it with N.J.A.C. 12:235-10 Appendix, which contains a Code of Conduct for Judges of Compensation virtually identical to the recently revised New Jersey Code of Judicial Conduct. As to the nature of the revisions to the New Jersey Code of Judicial Conduct recently made by the Supreme Court, which are reflected in the new Code of Conduct for Judges of Compensation, the December 12, 2014 letter from Deborah T. Poritz, Chief Justice (Ret. ), Chair of the Ad Hoc Committee on the Code of Judicial Conduct to Chief Justice Stuart Rabner. In that document, the Committee Chair explained, for example, that in general, the Committee had sought more precisely to describe the conduct prohibited (or permitted) by the Rules, adding that language in the Code had been modified, not necessarily to conform to the language found in the American Bar Association (ABA) Model but, rather, to achieve the goals of clarity and specificity, for example, the phrase "in All Activities" at the end of Canon 2 was deleted as too vague. Also, the Chair explained that consistent with its goal of "certainty," it had unanimously recommended that the word "should" be changed to "shall" in every Canon and Rule where it previously existed, except in Canon 1 as is evident within the revised Code itself.